Do you have any books on your shelves that cause a twinge of shame? Do you keep your Booker Prize winners in the living room for all to see while your Regency romances are relegated to a discrete corner of the spare room, safely away from disapproving eyes? After all, almost every aspect of our lives is subject to the judgement of others, and our choice of reading material is no exception. Years ago, as a recent English Literature graduate entering the commercial book world for the first time, I was, I’m ashamed to say, an incredible book snob. My biggest concern was reading the “right” things, and getting as many of those right things under my belt as possible. Ten years ago my bookshelves would never have seen Edith Wharton snuggled up quite happily against Trisha Ashley, or Vikram Seth rubbing shoulders with Rachel Hore. Luckily, the intervening years have substantially altered my perception of what it means to love reading. One of the most enjoyable books I’ve ever read was “The Palace of Heavenly Pleasure” by Adam Williams, a gloriously exotic, melodramatic romp set in nineteenth century China. The title and the lurid red cover give you a fair idea of what to expect; there are gruesome deaths and moustachioed cads seducing women in caves, and it’s all a ridiculous amount of fun. One of the least enjoyable books I’ve read, on the other hand, was the lauded, prize-winning “Wolf Hall”. In fact I found it so unreadable that I admitted defeat part way through. I’m sure the 21 year old me would probably have laboured through out of a vague sense of duty to a book that had been declared to be a great work of literature. And it is a great work of literature without doubt – but just not for me. 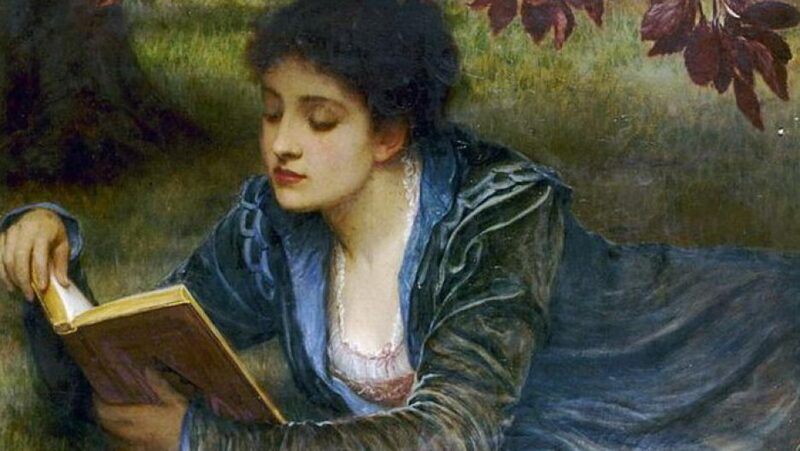 There are too many books in the world to waste time on the ones we don’t love, and who are any of us to judge where another person’s enjoyment may be found? Finally, I’m happy to say, I’ve reached a point where I have no guilty pleasures when it comes to books, simply because I don’t believe there’s any such thing. We read for many reasons: to learn, to escape, and yes, sometimes just so we can say we’ve managed to finish “War and Peace”. But fundamentally we read for pleasure, and any book that gives it to us is nothing to feel guilty about.